Award Winning Blairstone Forest for Environmental Conservation. 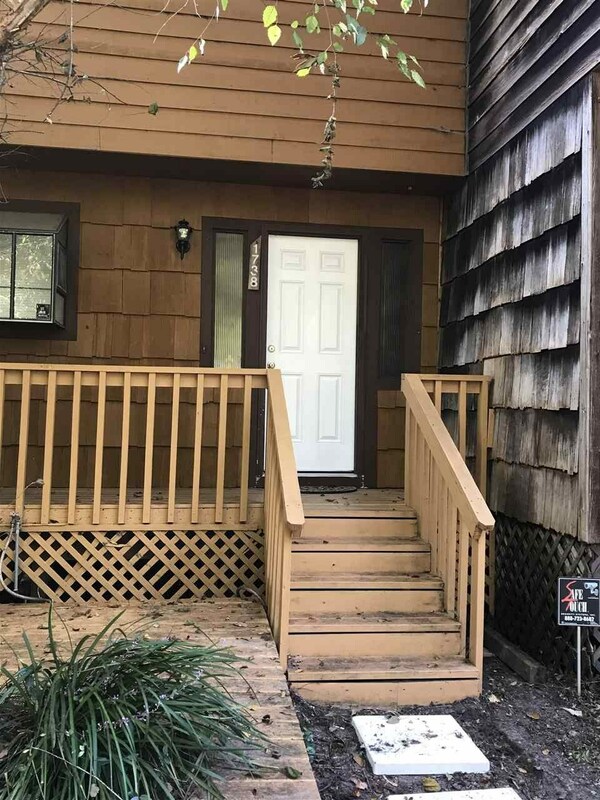 Wooded setting, Two story townhome with private balcony for master BR. LR has Sliding door leading out to deck for entertaining and storage/laundry room off from deck. Spacious LR with Woodburning fireplace. There is a community lake, board walk path to the lake and gazebo. HOA dues include common area and street lighting, etc. Owner will pay for a NEW sliding door that leads out to the deck.